Global fitness lifestyle brand Reebok today announces a landmark partnership with Gal Gadot; a leading international actor and world-wide symbol of confidence, defiant courage and inner strength. 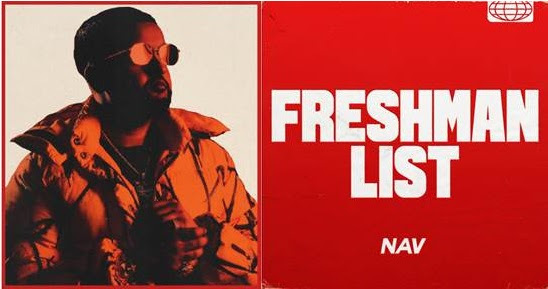 GRAMMY® Award-nominated platinum-certified Toronto rapper and producer NAV shares his new single “Freshman List” and the details and dates for his first-ever North American headlining tour. It kicks off on April 24th at The Observatory in Santa Ana, CA, rolls through major markets across the country, and concludes May 23rd at Saint Andrew’s Hall in Detroit, MI. Check out the full itinerary below. Tickets go on-sale Today, March 16th at 10am local time. Get them HERE. Listen to the new single “Freshman List” HERE. Additionally, his 2017 breakout single “Myself” is now certified platinum by the RIAA. NAV has quietly arrived as one of rap’s most innovative and infectious voices. Earlier this year, he unveiled his self-titled mixtape NAV and joined forces with powerhouse producer Metro Boomin for the collaborative album, Perfect Timing Meanwhile, 2016 saw him not only co-produce the GRAMMY Award-nominated “Back To Back” for Drake, but he also featured on and produced the platinum-selling “beibs in the trap” for Travi$ Scott’s blockbuster Birds In the Trap Sing McKnight. A streaming phenomenon, he regularly averages over 7.6 million monthly listeners on Spotify making him one of the Top 300 most-listened-to artists worldwide. In addition to selling out solo shows coast to coast, he also joined The Weeknd for The Starboy Tour. This tastemaker favorite has also received praise from XXL, Complex, Billboard, and The Fader with Rolling Stone placing his Coachella debut among the year’s best performances.